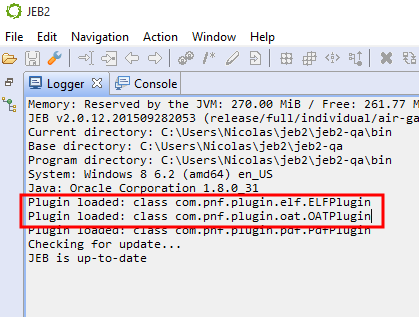 This blog assumes that JEB version 2.1.0 or above is used along with the OAT plugin 1.0.2 or above. 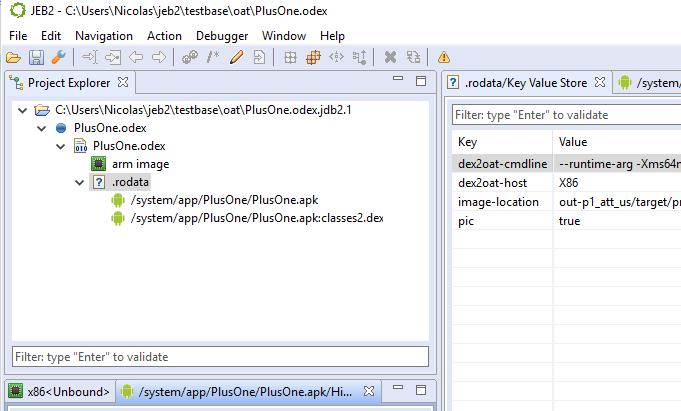 Parsing support for optimized DEX files was added to JEB2 to allow the analysis of non-deodex’ed files. Since ODEX files are target-dependant, the executing Dalvik VM is no longer restricted to regular opcodes. ODEX files may make use of “illegal” opcodes, optimized opcodes, or even the once regular but now dead extended opcodes. Whenever possible, parsing will take place, and instructions displayed in the assembly view. 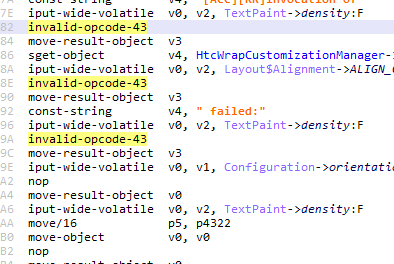 In the screenshot below, note that opcode 43h (illegal for non-optimized code) is used, as well as iput-wide-volatile (optimized opcode for field access). In that second screenshot, notice the use of a non-standard jumbo opcode. That is it for this blog post. We are planning to release more documentation and tutorials about our APIs In the coming days. In the meantime, remember to check our open-source plugins on GitHub, they are great starting points for anyone interested in writing their own parsers or back-end plugins. Stay tuned, and happy analysis. 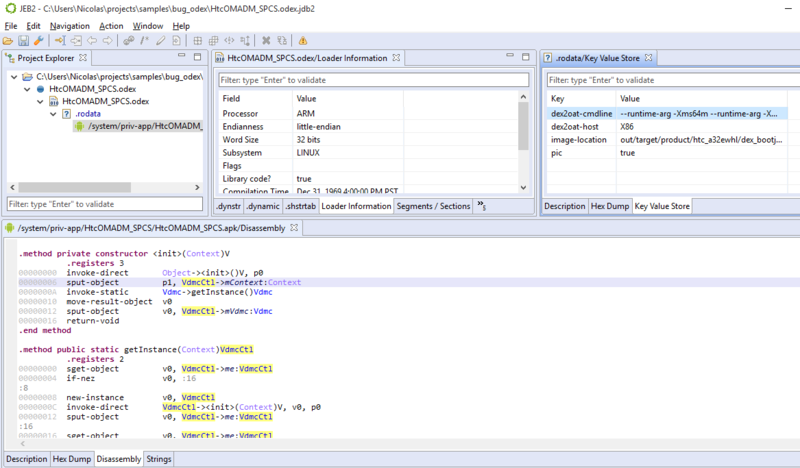 With the constant improvement of our UI client, new plugins, the upcoming release of the Dalvik debugger, as well as the APIs, JEB2 has become increasingly complex and full-featured. In order to reduce the barrier of entry for new users, we are going to publish a series of introductory videos aiming to explain how to get started with JEB2 and how to use the RCP client to the fullest. We will strive to keep the videos short and concise, highlighting specific features and gotchas of our software.